Reclaim the open office from noise, from distractions, from disruptions. Reclaim sight and sound dampening panels form Luxor. The simple more affordable acoustic panel solution for today's open work environments. Made from lightweight, recycled materials, reclaimed panels absorb up to 85% of ambient noise, helping distracted employees reclaim the peace and privacy they need to be more focused and productive. Use Reclaim room divider panels to divide large areas into quieter, more functional spaces. Start with our room divider 3-pack. It comes complete, no tools required. And assembly is as easy as pop, place, and zip. Because every panel is the same, it's easy to add more panels to create the length and look that is right for your office. For quieter, more private individual spaces, add Reclaim desktop privacy panels to existing desks and workstations. Our back panels and side panels fit most standing desks and fixed-type desks. Choose from one of 5 different mounting heights and give every employee the perfect level of privacy or modesty that he/she need to be more focused and productive. And Reclaim panels can accommodate most existing desk accessories and cord management hardware. Made form eco-friendly, recycled materials, all Reclaim panels are available in 5 different colors to complement any office interior. And because Reclaim is from Luxor be assured you are getting the solution you need at a refreshingly affordable price with no lead time require. Reclaim sight and sound dampening panels, from Luxor. 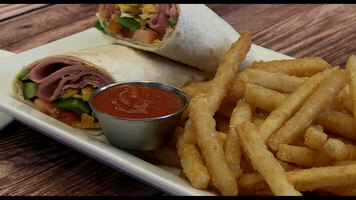 For perfectly crisp fries, try Cavendish Farms fries! They're fast and easy to prepare; just follow these steps! 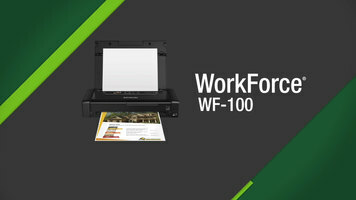 If you're a busy professional on the go, then the Epson WorkForce 100 printer is a great addition to your business! Designed for speed, convenience, and quality, this machine is the smallest, most compact printer in its class. Find out what makes the WorkForce 100 the best choice for professional, portable use by watching this introductory video. This video shows you how to correctly install the knee valve for the Advance Tabco 7-PS-63 hands free hand sink.